Nepal is sandwiched between two emerging superpowers India and China. The specific geopolitical character of Nepal and age old social, religious and cultural relation, the open border, passage to the sea through India only and the special treaty of security could not let Nepal escape from the dominance of India in political and economic front. Hence, during the past years from 1950, Nepal’s political issues never drew the attention of international community other than India. Even our northern neighbour China did not bother to give its attention in Nepal’s political development in the period. India enjoyed the sole monopoly in engaging itself in every political development of Nepal. 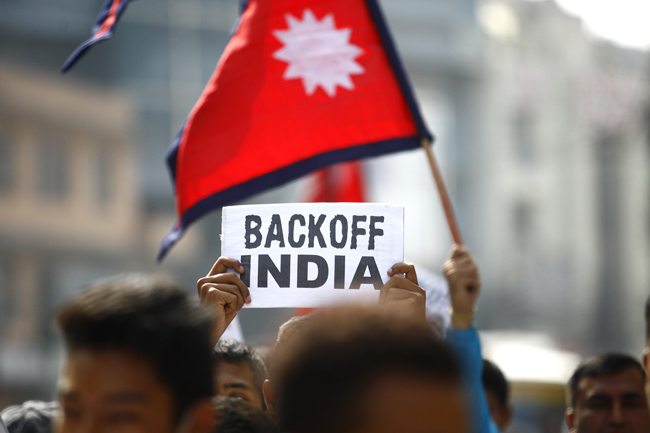 Whenever India felt that Nepal is trying to escape from its security umbrella, it punished Nepal by imposing economic blockade and other sort of restrictions on it. The glaring example of which is the Indian economic blockade of 1989 when Nepal bought some arms from China without consulting India. Nepal and India are very close neighbours having unique ties governed by religious, cultural and economic inter dependence as well as open border stretched to 1,751 KMs. The issue of open border is as old as the historical relation of these two countries. Although no formal agreements before 1950 maintained that the border between the two countries should remain open, both countries never introduced any provision of travel permits for the people of either country moving across the border. The open border is always operating at the pleasure of Indian interest. India has time and again used the open border issue to threaten Nepal whenever it feels that Nepal is not responding to its interest. There are incidents of major transit points closed for long duration by India without consulting Nepal as a punishment for dealing with other countries without India’s prior knowledge and consent. However, after the birth of Maoist insurgency in Nepal, and especially in the past few years, India is also feeling the heat of negative implication of the left-wing and anti-Indian coordination in both countries that is linked to its internal security concern. So, it is the time for not only Nepal, but also India to rethink its strategic policy about the open border in the changing context of regional security as well as cross border undesirable activities. Being a small country, Nepal is suffering more from India in the negative consequences of the unregulated movement of population across the open border. 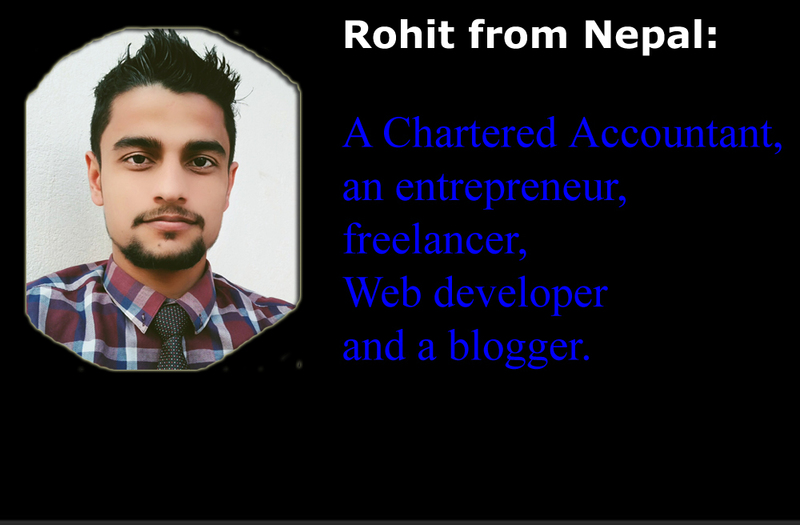 In reality, Nepal has become very poor victim of the negative implication of the open border between the two countries. It is impossible for the security forces of Nepal to guard every inch of the 1,751 KMs long border to control illegal activities. There are severe social, political as well as economic implications of the unregulated transaction of illegal activities across the border. Such incidents can’t be regulated unless India shows a strong commitment to help Nepal. There is a need of India’s direct involvement in regulating such incidents. Based on the 1950 treaty and letters of exchange, no country is in a position to unilaterally introduce such travel provisions restricting free movement of people across the border. The issue of regulation was never discussed seriously in the past as neither of the governments felt necessary for the Treaty of Peace and Friendship 1950. Political leaders were enjoying the benefit of uninterrupted movement of Nepalese citizen to India for employment and other opportunities whereas India was also enjoying the easy flow of Indian goods and labourers into Nepalese markets. However, the open border and subsequent free movement of people across the border has brought various social, economic and political problems in recent times. The Maoists also demanded through their Forty Point Demands presented to the then Deuba Government in February 1996, before the peoples war. The demand For the provision of the control of entire Nepal India open border, ban of cars with Indian number plates to ply through the Nepalese roads, closure of the Gorkha Recruitment Centre, making the provision of work permits for the foreigners in Nepal and end of the precedence of foreign technicians over Nepalese technicians at the local jobs and ban of Hindi video cinema, films, videocassettes, magazines, and all other vulgar materials coming from the Indian markets through the unregulated open border (CPN-M 2001) are now feeling more valuable and necessory. India is always interested to Nepal’s rich water resources with estimated capacity of 83,000 MWs of power generation, is well known in South Asia. Water is one of the major natural resources that could be utilised for the nation’s economic development. In theory, water and water-generated energy commodities could be exported to the huge Indian market in the south. However, there is no single water resource as a joint undertaking that can be claimed as a success story in the past 50 years of water resources development project in Nepal (Chintan 2001). India’s bargaining on water resources sharing with Nepal and its desire for fishing in the troubled water of Nepalese politics is also influenced by its ever increasing demand of water for its large population. It is obvious that India has never considered Nepal as an equal partner in sharing the huge surplus water resources in Nepal that can be of immense help in fulfilling the unmet demand among huge and starving Indian population. Other experts view that India has an attitude of exploiting the rich resource base of Nepal without returning equal benefit to Nepal. The water dispute between these two countries started as early as 1950s when the Koshi and Gandaki Hydropower projects were started. The treaties on water resources between Nepal and India have always been coloured with political opposition. The treaties caused serious uproar among the Nepalese political circle. Prime Minister B P Koirala was blamed for selling those rivers to India and the issue would be raised in every election in democratic Nepal even after four decades. Then another most controversial Integrated Treaty on the Development of the Mahakali River (ITDMR) held in 1996 during the time of Nepali Congress Government, which brought economic, social and political consequences in all sectors of society in Nepal. This treaty became major issue of political battle among the ruling and opposition parties in the streets as well as in the parliament. The opposition communist parties organised nationwide protest blaming Nepali Congress once again selling Mahakali River to India. on sharing of country’s natural resources needs ratification of the parliament by two-third majority. If such agreement causes long term impact to the nation, it has to be ratified by a two-third majority of joint seating of both the houses of parliament (Constitution of Nepal 1990). The government claimed that the Memorandum of Understanding (MoU) was an understanding between the countries and did not require ratification. The opposition parties and civil society groups dragged the government to the Supreme Court. The apex court ruled that the MoU on Mahakali River was, indeed, an agreement and not merely an understanding. The four decade long experience of sharing water resources with India shows that Nepal has been a great looser even in terms of narrow economic benefit through irrigation, flood control, electricity, not to mention the disastrous social and environmental cost (Chintan 2001). The discussion on water resources sharing issues has been dominated by political emotions rather than practical research and study (Ajay Dixit 2004). Every water resources development projects involving India raises the eyebrow of Nepalese opposition political parties (including CPN-M) and is viewed as an attempt to surrender. There is a strong argument on India’s opportunist intention of exploiting Nepal’s political crisis situation and weak/illegitimate/unaccountable government to sign major water resource treaties to its benefit. Various natural resources and foreign experts have raised their voices in these issues time and again with citing the timing of the signing of those treaties.